Benefit from our expertise. Our experienced designers and engineers are here to help. AiFAB offers customers a range of extrusion design and consulting services. From simple repetition engineering to large-scale custom assembly projects, we support your project needs. Our integrated approach to aluminium lets us innovate in unique ways. Because our designers and engineers work hand-in-hand with our machinists and fabricators, we have an in-depth understanding of aluminium processing that is hard to beat. Between our experienced staff and our machine capabilities, we’ve got what you need to take your product to the next level. AiFAB’s design department is one of the best. 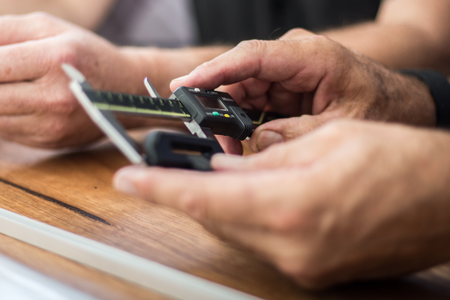 Our in-house designers and product engineers work hand-in-hand with our fabrication teams to improve your designs in every way possible. We use the latest software for design engineering and 3D rendering. Our team is able to model and error-check your extrusion designs for intolerances, suite incompatabilities and more, saving you time and money on unsuitable results. We create plastic extrusion prototypes with our 3D printers for your specifications. Additionally, we look to innovate on designs. Our years of experience allow us to identify and improve on extrusion inefficiencies, stripping out manufacturing time and cost while improving product quality. If you don’t have a design team of your own, see what aiFAB’s experts can do for you. AiFAB can serve in a consulting and project management capacity. We take the stress out of managing your aluminium. We offer stocking and stock forecasting as part of our package. Our project managers can work with you to review your business cycle and prep stock according to your peak and through demand periods; you’re never caught out with either insufficient materials or oversupply. We look for other ways to maximise your efficiency and help save you money. 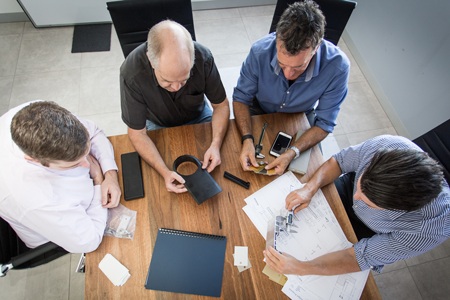 Let our experts help with product development. We can double-check extrusion designs and systems with fresh eyes and innovate solutions. For any size business, aiFAB’s expertise can help you grow. Get in touch to see how we can strengthen your designs.